I am a little in love with this car. It does everything well. Honda engineering at its very best. Innovation too. In fact I love it. So I am a little biased. I think it is perhaps the best car that I have tested, all things considered. If you are in the market for a D segment family size car test drive an Accord before buying any of the Germans. It really is that good. 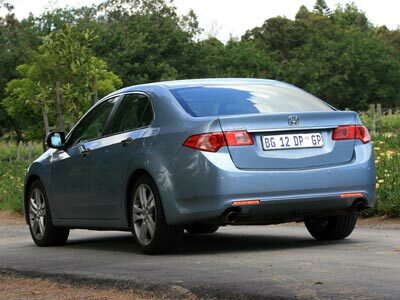 The Honda Accord 2.4 i-VTEC Executive was SA’s 2009 Car of the Year. The Accord comes with all the goodies as standard. From dual control climate control, park distance control, electrically adjustable seats to automatic wipers and lights. From a safety point of view it has 6 airbags and a host of accident prevention technologies. The Accord is supremely balanced and fine tuned. It is a driving instrument. Build quality is the best that money can buy, so you are unlikely to have problems with this car. The interior is refined and insulated from road noise and will last many years. The ergonomics are in tune with the driver. It has a cockpit not an interior! Seats and steering are fully adjustable. The roadholding is impressive and handling is sharp and responsive. This is aided by Honda’s Advanced Driver Assist System: collision mitigation braking, lane keeping assist and adaptive cruise control. It is an amazing system. Try it for yourself. The gearbox is as sharp and smooth as a Santoku knife’s blade. Awesome. The suspension delivers precision handling. The acceleration matches the boosted performances of its competition at well under 8 seconds to 100km/h. The Accord offers a superlative, rewarding driving experience. I have to admit she is a little thirsty. Having said that, I averaged 8.9 litres per 100 km of mixed driving including at 120km/h on the highway and town driving including 8 floors up in a parking garage. The back seats are a little cramped for a car of this size. The boot is a little odd shaped. There is nothing much wrong with this car. The Honda Accord stands out as a quality value for money driver’s car. We tested the 2.4 Exclusive automatic at R404 900. 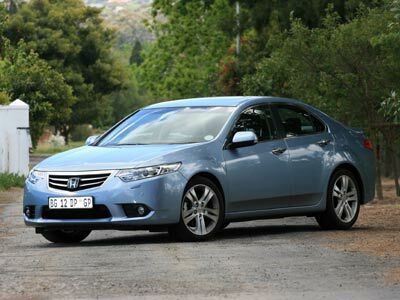 Prices range from R305 900 for the 2.0 litre manual to R404 900 for the 2.2 Dtec Executive automatic. Both the 2.4 petrol and the 2.2 diesel can be recommended. Drive them and decide. Warranty is 100 000km or 3 years, includes 5 year service plan. 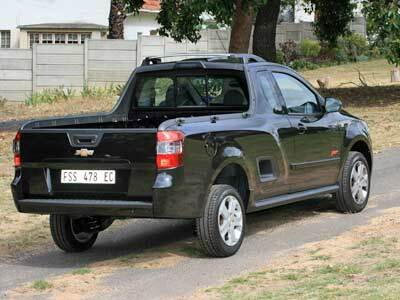 The new Chevrolet Utility replaces the Corsa Utility, but builds on all its strengths. It looks great, handles well and seems well put together. Around town it feels quite nippy but in 1.4 guise battles a bit on the open road. The 68kW and 120Nm just not being enough especially with a load (of around 700kg). Not made for cruising then. The cabin is very well executed. GM have wisely kept it very much like it’s predecessor. The cabin is very comfortable and well laid out. The seats are comfortable and adjustable. The new design means they can move back further or allow more stowage space (164 litres) behind the seats. The loadbox has 4 well placed tie hooks inside and 6 on the outside along the plastic lined top of the loadbox wall. All the models come with automated lights which work well. The aircon fitted to the Sport models is effective. I found the 1.4 engine a little pap. It really labours at 4 000 rpm to get you to 120km/h, working hard, and this unladen at sea level. The wheels look small and lost in the wheelarches. The sound system is a little iffy delivering quite thin sound. I found the fuel consumption a bitter higher than GM claim of 7.2 and got just over 8 litres/100km. The new bakkie looks at first glance very much like the old one. But when you take a second more careful look you realise quite a lot has changed. The nose is more vertical and a lot bolder. The loadbox is shallower which increases rearward visibility and the lights seem to glower at you. I think the whole is quite pleasing. 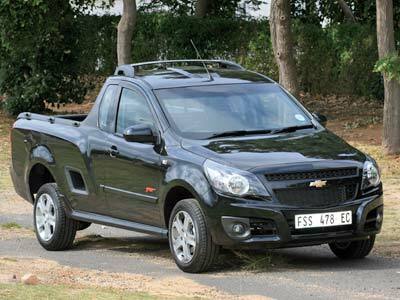 It is a good looking bakkie. The one pictured here is the Sport trim. If I was buying a small bakkie I would get the 1.8 Club which costs (starting at) a not inconsiderable R140 00. The range starts at R115 000 for the 1.4 base model. The Sport models start at R161 000. Warranty & Roadside Assistance – 5 years/120 000km. Service Intervals – 1 Year/15 000km. Volkswagen have been building small family cars for a long time, and it shows. They know how. The ‘new’ Jetta is very very competent. It’s got a fairly roomy, comfortable and well thought out interior, it’s got a huge boot, it’s got good road manners, acceleration and speed, it’s got frugal engines, it’s got style,it’s got god build quality, in short it’s got what it takes. In my opinion Volkswagen group car interiors are top flight. Some may say a little sombre, but I like them. The Jetta cabin is to my mind just right. It is a little plastic especially at the back, but up front it’s pretty good. You feel good sitting in the Jetta. The 1.6 DTi engine is a little noisy at times, but it delivers very good power, torque, economy and all round performance. The new Jetta looks good. It is no longer a Golf with a boot tacked on, but a car in its own right. It has a classy interior and smart flowing lines. The Jetta’s biggest selling points must be its huge boot and classy interior. Roadholding and handling are on a par with the best of its competition which includes Honda Civic, Ford Focus and Chevrolet Cruze. It is a pleasure to drive. As is tradition with a Jetta, the boot is enormous for this size car. The overall impression is of quality. A little on the expensive side for what you get. Seems a little tighter or smaller than its peers. Needs kitting out with optional extras which quickly adds to the price. VW offer 7 Jettas. From the 1.2TSI Trendline at R222 000 to the 2.0 TDi Highline at R297 200. 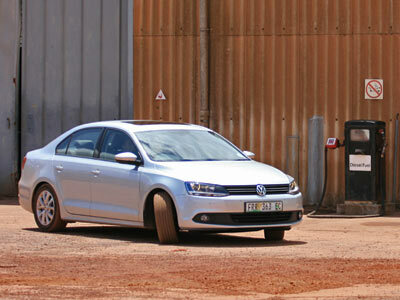 We tested the 1.6 TDi Comfortline DSG at R274 000. GM launched the Orlando very quietly onto our market. I do not know why, because I believe it could be a big seller here. I was hugely surprised and impressed with the Orlando. It has its little negatives, but for the family man or the small business owner it answers a lot of questions. One of the big pluses is the feeling of quality and solidity. The other is the space. Loosely based on the Cruze, it is smallish on the outside and biggish on the outside. It has the space of a smallish van but the feel and handling of a car. My week with the Orlando included 5 return trips of about 50km on the N2 to Cape Town and mixed city driving as well as parking 5 floors up in a parking garage. I managed 8.7 litre/100km. At 120km/h it uses around 9.2 litre/100km. The Orlando has got loads of space and a very pleasant and versatile cabin. All round visibility is surprisingly good, even for shorter drivers. The driving position is more SUV than car like and works very well. Because you sit a bit higher you can see much better making it a superb choice of car if you plan to go game viewing or touring. The switchgear seems to be of high quality and is placed just right, almost identically to the Cruze. I would not be surprised if the dash has been lifted out of the Cruze. The Orlando drives as easily as the Cruze. It’s a great family car. Perhaps because it was first designed as a left hand drive car the gear lever obscures the air conditioner controls when it is in 5th gear. Speaking of which, why no 6th gear? No automatic box? 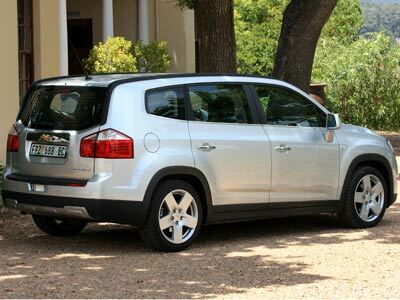 Many prospective buyers would I think have considered a diesel, but GM has decided not to make it available in SA. The 1.8 litre petrol engine is not excessively thirsty but is not as economical as a turbodiesel would have been. Why no turbodiesel Orlando? The turbodiesel Cruze is excellent and a pleasure to drive. If GM made a diesel Orlando I would be first in line to get one. Make no mistake, the petrol engine is fine, but the diesel would be awesome. A bicycle fits in the back easily with a seat down. Its plus points are space, versatility and really good looks compared to its competition, VW Touran, Mazda 5 and Toyota Verso. Priced from an excellent R254 400 for the base model, we tested the LT @ R295 000.